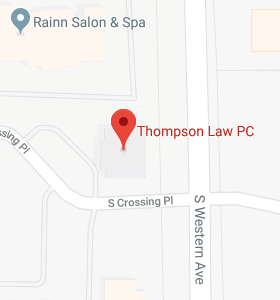 Basics of Estate Planning: Powers of Appointment – Part 1 - Thompson Law, P.C. Blog Author: Stephen C. Hartnett, J.D., LL.M. (Tax), Director of Education,American Academy of Estate Planning Attorneys, Inc. Trusts have many potential benefits. One of those benefits is that they can be very flexible. One way to increase the flexibility of a trust is by including powers of appointment. A power of appointment is giving someone the ability to direct the assets of the trust. There are many different ways a power of appointment could be drafted. Manner of exercise. The trust could require a specific manner of exercise. For example, it could be made difficult to exercise the power, like making it only exercisable in a Will. Or, it may be made easier to exercise, by allowing an exercise in any writing. Delivery. The trust could require the instrument exercising the power to be delivered or discovered by the trustee by a certain date, like within 30 days of the death of the powerholder. Scope. The power could cover all the assets in the trust, or just a portion of them. Also, the power could limit to whom it may be exercised. For example, it could be rather narrow and limited to an exercise in favor of the descendants of the grantor of the trust. Or the power could be broader, for example, allowing an exercise in favor of the powerholder’s spouse or a charity. Outright or in Trust. The power may appoint the assets outright to the appointee or it may keep them in a continuing trust for the appointee. A power of appointment can add tremendous flexibility to a trust. For example, a surviving spouse or child could be given the power to decide what happens to the assets remaining in the trust at their death. It may be advantageous to give them this power but not to give them the assets outright, for many reasons. For example, they might have creditors or a taxable estate. You may want to protect them from a spouse. By leaving the assets in trust, the grantor of the trust can retain control over who eventually gets the assets, for example, by keeping them within the family. By giving a power of appointment, the client is really deferring the decision regarding how the assets may be distributed ultimately. There may be many years between the client’s death and the powerholder’s death. The powerholder might have much more information to make a better decision. The client is setting the default, but allowing the powerholder to override their dispositive scheme if the powerholder so chooses. Let’s say the client dies in year 1. They leave their assets in a trust for their spouse and children. When the spouse dies, the assets are set to go equally to the children unless the surviving spouse exercises the power of appointment. When the client dies, they leave $3 million in the trust and have 2 children, both with equal abilities and needs. By the time the surviving spouse dies, maybe 20 years later, they’ll have much more information. Maybe one of the children will have won the lottery while the other child will have become an elementary school teacher. The surviving spouse may decide, based on this additional information, to give a greater share of the assets in the trust to the child who is a teacher. A trust can allow tremendous flexibility and a power of appointment is one way to obtain that flexibility. Next week’s blog will examine how different types of powers of appointments have different tax consequences.